either 500 Free Ticket Points or a FREE Licensed Poster for either Call of Duty Black Ops©, Harry Potter©, or Star Wars©! You can schedule your party anytime 24/7 by booking it online or during normal business hours you may book it in person, or by phone at 402-554-1925! 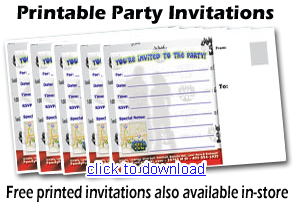 All Birthday Packages Include: 500 Tickets or Gift for the birthday kid, your own personal Party Room for 2 hours, FREE Invitations, and best of all we cleanup! 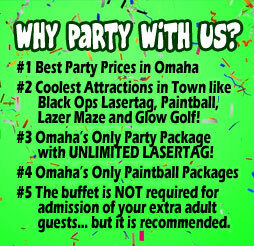 Only Unlimited Lasertag Package in Omaha! 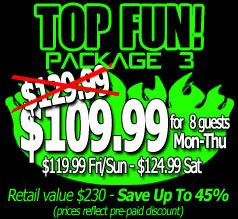 Thru 12/31 save $20 off non-discounted price! FREE Theme Options: Standard (no theme), Black Ops, Wizarding, or Rebel Squad. 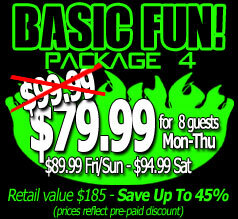 Note this package does not include lasertag or lasermaze. 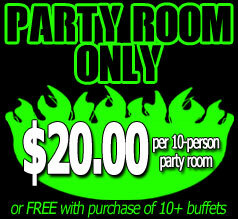 It can be used to book a party all by itself which is perfect for a "last minute party"
Receive 1 FREE $10 Gamecard for each room... or make it a $15 Gamecard if you pre-pay a minimum of 1 day in advance. 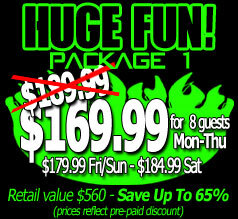 Call 402-554-1925 to book a room only.